If you need professional roofers for a roofing project in Bradford, we are your go-to team for roofing jobs large and small. Finding the right professional roofers can make you feel like might be easier to sell your house than have the roof fixed! 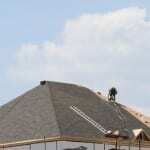 Roofing projects can be overwhelming, and it can be frustrating when you aren’t sure where to turn to get the job done. However, at Slippery Slope Roofing, our professional roofers should be your first call for your roofing job in Bradford, Ontario, because we provide comprehensive roofing services to meet your needs. Whether you have a minor roof repair or your whole roof needs to be replaced, we can complete any job large or small. Our professional roofers provide detail-oriented, efficient workmanship that is designed to give you peace of mind when the job is done. We pride ourselves on doing a good job, and we won’t take shortcuts when it comes to ensuring your roof is in good shape. And when you need professional roof installation, we only complete one job at a time, so you have our undivided attention during your project. That means your new roof will provide the safety and security that is required for your home for many years to come. If you need professional roofers for a roofing project in Bradford, we are your go-to team for roofing jobs large and small. At Slippery Slope Roofing, we provide affordable options and quality workmanship that you won’t find with other roofing companies. Our 50 years of experience in the roofing business mean we have the experience and expertise you need. Call today for more information! At Slippery Slope Roofing, our professional roofers proudly serve Bradford, Barrie, Orillia, Alliston, Newmarket, Midhurst, Cookstown, Beeton, Innisfil, Angus, Collingwood, Wasaga Beach, Oro-Medonte, Midland, New Tecumseth, Clearview, Bradford, Essa, Stayner, Springwater, and surrounding areas of Ontario.